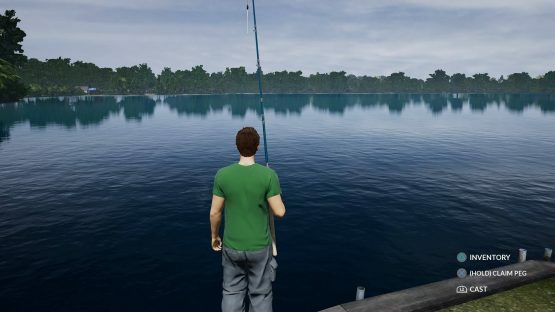 Dovetail Games, your sim-ly neighborhood game developer and publisher of Train Sim World and Microsoft Flight Simulator X, is going fishing. Their latest title, Fishing Sim World, brings the experience and excitement of fishing to homes everywhere on the PlayStation 4. Created with the angler in mind, the fishing savvy design team set-out to make the most realistic fishing game to date! FSW includes 18 different species of fish, iconic fishing locales, accurate fish AI and tons of licensed fishing equipment. Despite clearly having lots of love behind it, however, Fishing Sim World falls prey to one major thing: it’s boring. I was expecting many things when I began Fishing Sim World, but a character creation screen wasn’t one of them. While surprisingly refreshing at first, it was quickly apparent that customization options were slim at best. Don’t get me wrong, I wasn’t looking for a Skyrim level of variety. But something more than three different eye colors, six heads—3 male, 3 female—and additional accessories besides hats and sunglasses would have been nice. For a game that touts realism, one would think a bit more effort would have gone into its character customization. Especially when every time a fish is caught, they pose with it for an awkward photo. Fishing Sim World’s tutorials didn’t add much entertainment value either. Players don’t actually do anything in them. They’re short, 2-3 minute gameplay videos over different aspects of the game. Which, boring-ness aside, is a poor design decision. While the narrator and his southern accent (I’m guessing North Carolina) are pleasant to listen to over the gameplay footage, that’s all it was. And while I didn’t feel unprepared once I started fishing, a guided, in-game fishing session would have been preferred. 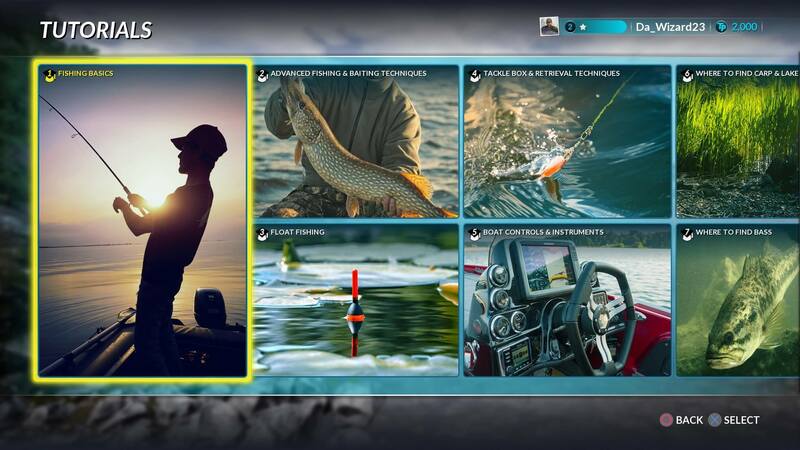 The tutorials also include a lot of fishing jargon that FSW assumes players know. Words and phrases such as float rig, pulling line, drag system, spod rod, and line clip. A fishing glossary new anglers could reference would have made the tutorials easier to follow and more enjoyable overall. Tutorials watched, I kicked things off at Lake Boulder in beautiful up state New York. I was pleased to learn I could adjust the time of day, weather and even my starting location on the map. Thank goodness too, as the two US maps are massive—over 2000 acres in size. The UK locations, by comparison, are considerably smaller, the biggest being 35 acres. The fun dwindled down from there, unfortunately. Fishing wasn’t fun in Fishing Sim World. Sad and more than a bit ironic, but true. I found very little enjoyment in the process. I understand it’s a fishing simulation game, but it’s still a game at its core. And its gameplay is simply dry and lacks variety. The repetitive actions did not feel rewarding, even when netting a fish. There’s no music that fires up when a fish gets hooked or some kind of reward notification when you catch it. The character doesn’t even look excited or smile when he or she is posing with it. In fact, they just look awkward and occasionally shy away from the camera. I was missing a reason to keep playing. An element, that in other games, makes you come back for more. 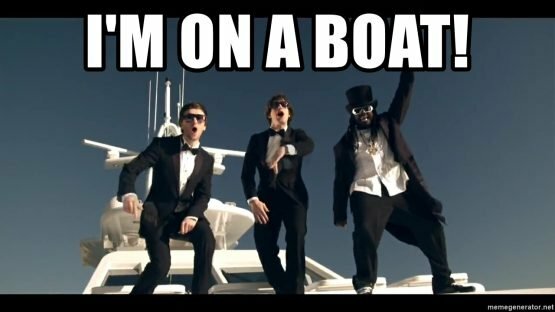 The closest I came to that feeling was when I driving the boat. The boat is one of the more redeemable qualities in Fishing Sim World. It’s fun to drive and look around, easy as that. Plus, the sonar device equipped in each boat allows players to find spots in the water heavy with fish. Once a good location has been found, players can actually fish atop their boats. They’ll have to deal with the same problems as before, but hey, at least they’re on a boat! The issues with Dovetail’s Fishing Sim World didn’t stop at fishing, however. Visually the game looked bland and hardly next-gen. There were camera angle issues whilst reeling in fish and the multiplayer was a joke. I joined someone’s session and fished next to them but that was literally all I could do. I was unable to communicate with any of the players in my session. Asking for tips or pointers was out of the question. Physically watching them wasn’t useful either. In several of my sessions, players would either lag out or skip frames when reeling in a fish. It felt like a situation where if you’re not going to do something right, then don’t do it at all. Shopping for equipment also had its problems. Which is sad because who doesn’t like new gear? And with over 100 pieces of it, including two additional boats, there’s plenty of things players can save up their “Tackle Points” for. FSW does a poor job explaining the significance of the various stats on said equipment though. Obviously the more expensive the gear, the higher quality it is. But outside of that basic law in video game economics, the lines, reels, floats, and hooks all seemed the same. Fishing Sim World clearly has a number of issues, the most glaring being the developers at Dovetail forgot to make it fun. They focused heavily on realism but even that suffered due to FSW‘s mediocre graphics and extensive, often unexplained, jargon. It was the weak fishing gameplay that broke the camel’s back though. The core of the game felt unfulfilling and lacked excitement. Nothing entices you to cast again after a catch. As an Eagle Scout in the Boys Scouts of America, I’ve casually fished dozens of times. I know what it feels like to walk that fine line between patience and anticipation while holding a rod. That’s the part of fishing Fishing Sim World failed to simulate. The energy. 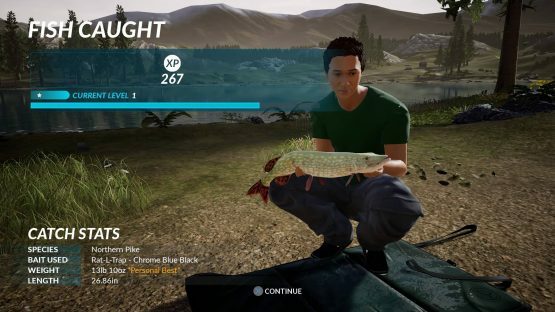 There’s simply nothing exciting about catching fish in this game. Fishing Sim World review code provided by Dovetail Games. Version 1.01 reviewed on a PlayStation 4. For more information on scoring please see our Review Policy here.